The sensational sequel to 'Papillon'. 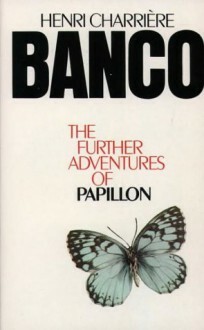 'Banco' continues the adventures of Henri Charriere - nicknamed Papillon - in Venezuela, where he has finally won his freedom after thirteen years of escape and imprisonment. Despite his resolve to become an honest man, Charriere is soon involved in hair-raiding exploits with goldminers, gamblers, bank-robbers and revolutionaries - robbing and being robbed, his lust for life as strong as ever. He also runs night clubs in Caracas until an earthquake ruins him in 1967 - when he decides to write the book that brings his international fame.